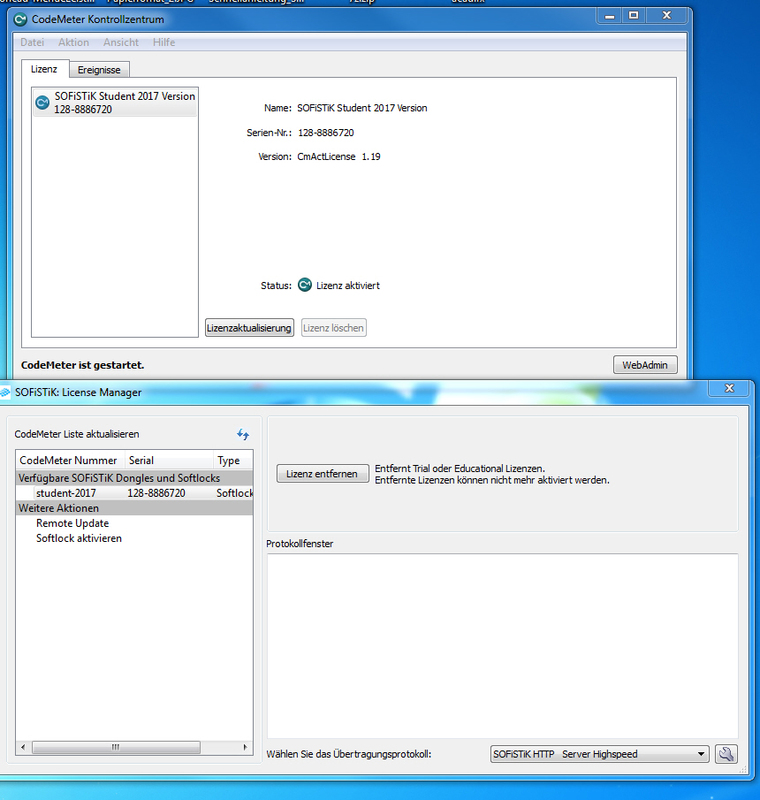 Start CmDust via Windows Start -> “CmDust”. A command prompt opens and the program starts. If you are using an active Trial or Education Version, these licenses can be deactivated with “License Manager”. Start the “License Manager” via Windows Start, select the license and click “Remove License”. It may happen that a user blocks a RCD or RCG license in the network although he currently doesn’t need to work with it. When will a Reinforcement Detailing (RCD) license be blocked? * At the startup of the project, if SOFiSTiK Reinforcement Detailing has already been loaded in the current project before. * At the first click on any tool in the SOFiSTiK Reinforcement tab, if SOFiSTiK Reinforcement Detailing has never been loaded in the current project before. Until version 2016, the license was automatically blocked during every startup of Revit. When will a Reinforcement Generation (RCG) license be blocked? * At the first click on any RCG tool in the SOFiSTiK Reinforcement tab until the project will be closed. 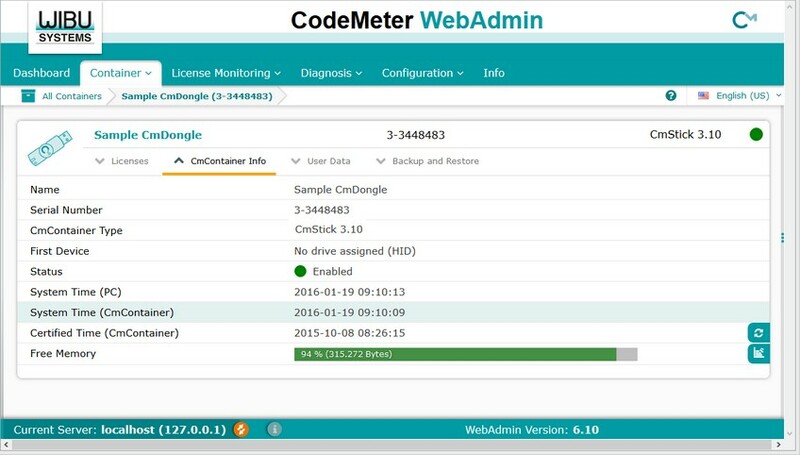 Start the “CodeMeter Control Center” via Windows Start and click “WebAdmin”. Type “localhost” in the “Server Search List” at the Configuration tab and click Apply. To access the network license again, simply “remove” the “localhost” from the list. Revit identifies the plugin to load via the extension ”.bundle” at the end of the application folder name in the installation directory. Open the installation directory for Revit plugins “C:ProgramDataAutodeskApplicationPlugins”. Rename the extension of the application folder (e.g. “.bundle” to “.bundle_”). To activate the plugin again, simply remove the underline from the end of the folder. Revit does not identify the plugin to load without Windows permissions of the current user for the application folder. 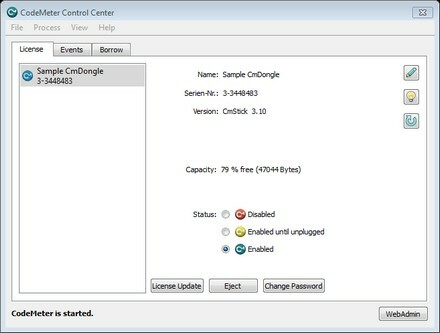 Click “Edit” on the Security tab in the property dialog of the application folder and change the permissions for the corresponding user. 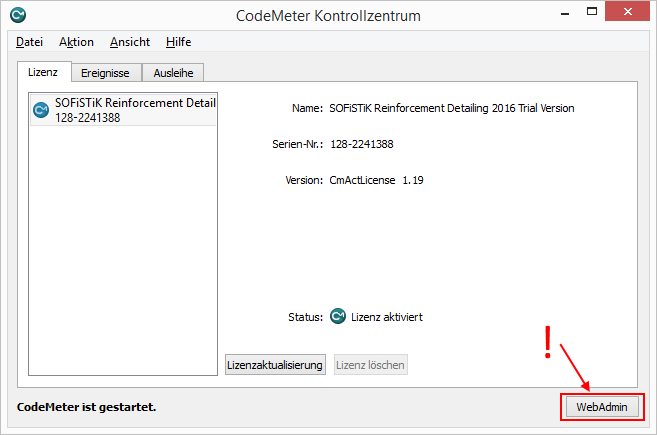 If you continue to edit a file with data maintained by SOFiSTiK Reinforcement Detailing without an active license, reinforcement data and elements will not be updated anymore. This may cause problems when your project is opened later with SOFiSTiK Reinforcement Detailing being present again.